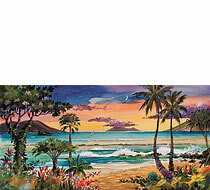 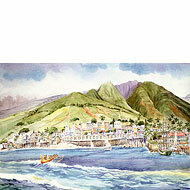 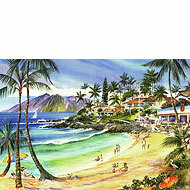 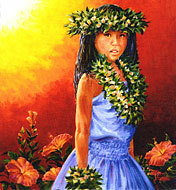 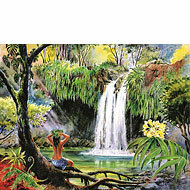 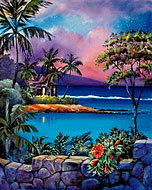 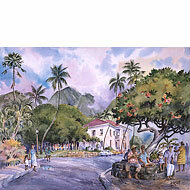 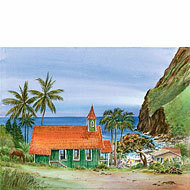 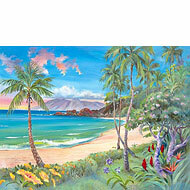 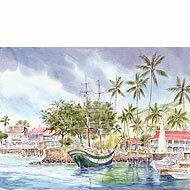 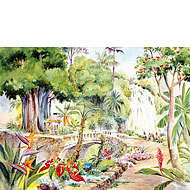 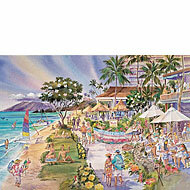 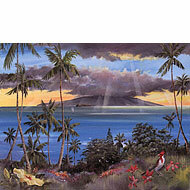 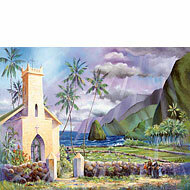 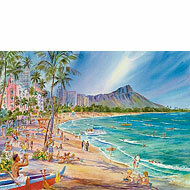 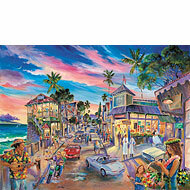 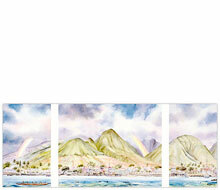 Jim Kingwell has been painting the colors of Hawaii for many years. 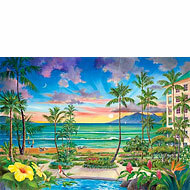 The charm of the Tropics, island beaches, palm trees swaying in the breeze, rainbows, tropical birds, exotic flowers, and the Hawaiian culture are essential elements to his art. 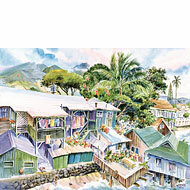 Giclée Limited Edition Prints are either printed on Arches™ Acid Free Watercolor Paper (cotton fiber, Museum Archival quality), or on Cotton Canvas (depending on whether original artwork was an oil painting or a watercolor painting). 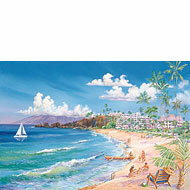 Prints have a white border to allow room for matting and framing. 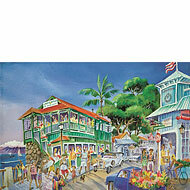 All Prices include Shipping, Handling & Insurance within the US. 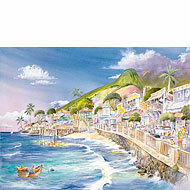 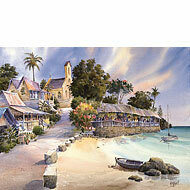 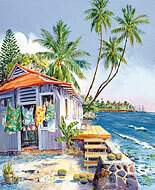 Please contact bernard@islandartcards.com or call 1-800-222-7327 with any enquiries.